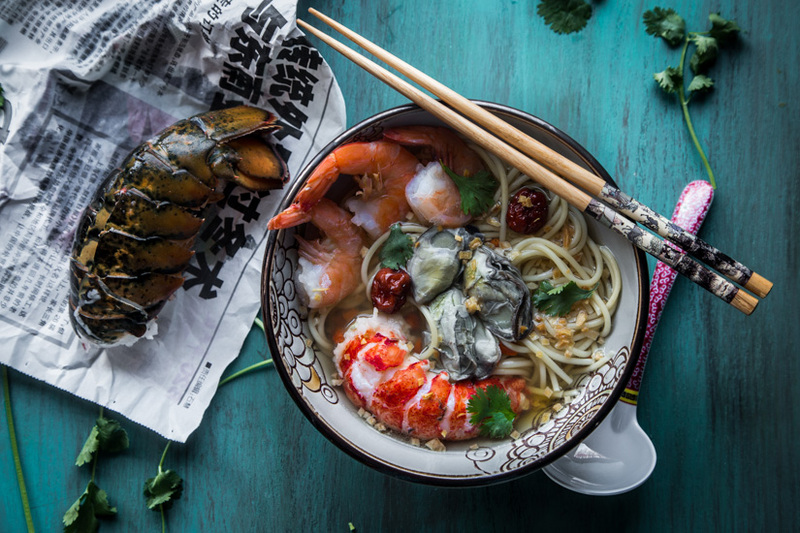 Seafood Noodle in Ginger Garlic Broth- Succulent piece of lobster tail, shrimp, and oyster are served in aromatic ginger garlic broth will satisfy that craving for noodle soup. 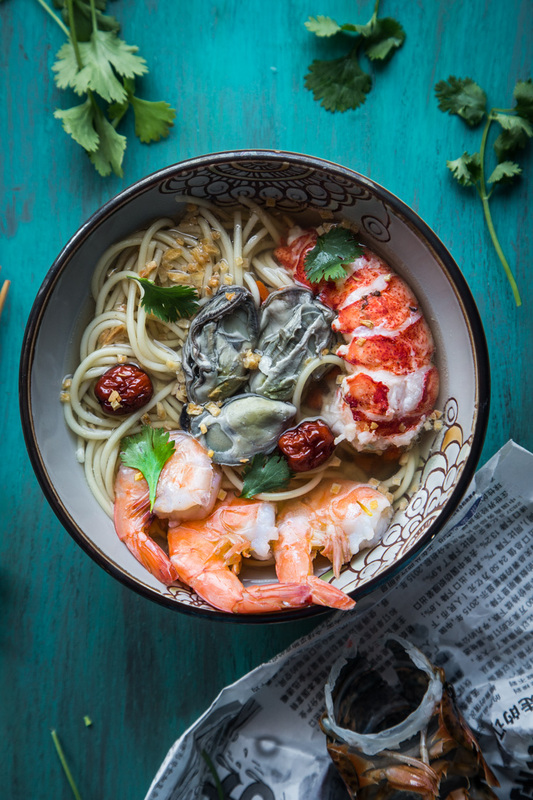 GINGER: It’s always a “rule of thumb” to include ginger when seafood is involved. At least that’s the case with my mom. 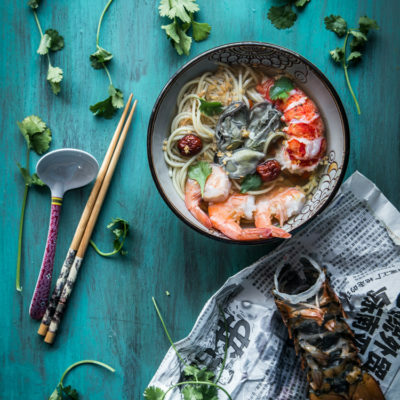 Ginger helps to “tame” what people like to refer to as “fishy” taste when it comes to seafood. CRISPY FRIED GARLIC: My mom loves to make crispy fried garlic. Not garlic chips, but finely chopped garlic is fried until crispy and then kept in its oil and the crispy fried garlic is used as topping with soup and the soup is drizzle with a bit of the garlic oil. Something so simple but kicks the overall dish up a notch. I know we are not machine and so do your best to chop the garlic to about the same size as much as possible. This helps to ensure that smaller pieces won’t get too dark while bigger pieces are still not crispy yet. Because the garlic is chop into fine pieces, they get burn easily. Make sure the heat is on low to medium while cooking the garlic. Once the garlic turns golden brown and get crispy, remove from the heat immediately. The garlic will still continue to cook in the hot oil. Pretty much anything goes if you ask me. I used spaghetti as you can see from the photos. 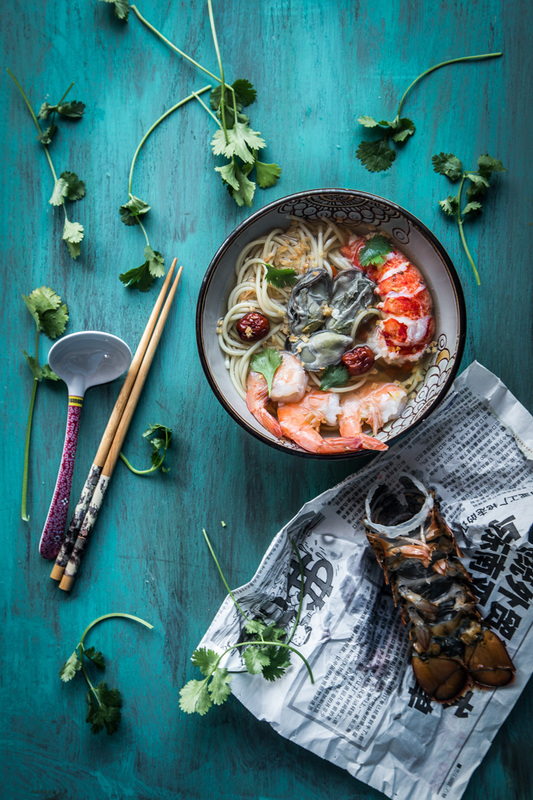 You can also use: tapioca noodles, egg noodles, angel hair pasta, mee sua (vermicelli noodles), rice noodles. 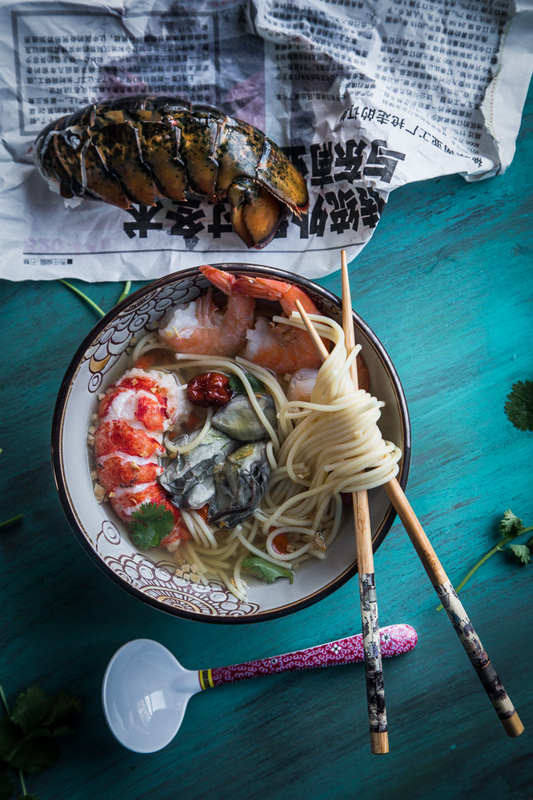 Succulent piece of lobster tail, shrimp, and oyster are served in aromatic ginger garlic broth will satisfy that craving for noodle soup. If you can't find dried Chinese red dates, you may just omit. 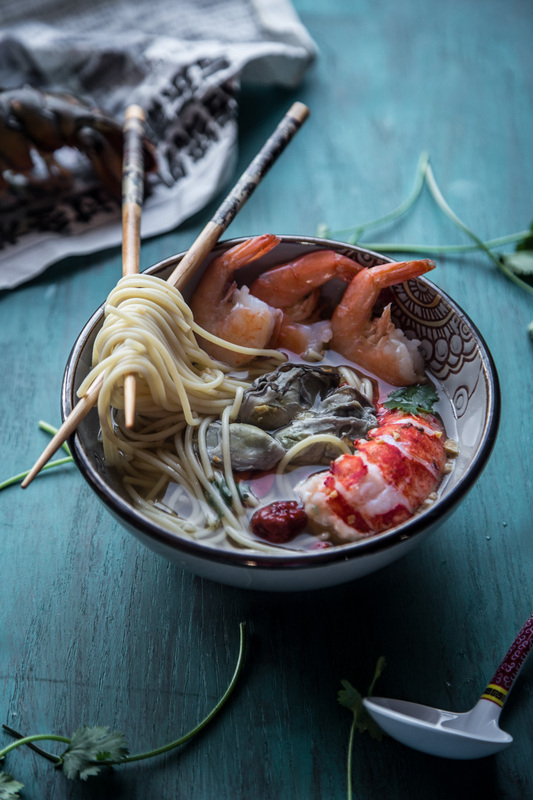 You may use goji berries (not as substitution because it's not the same) in the soup too. It's easier to get goji berries and I love using them in savory soup too. Just put goji berries at the end of cooking and let the residual heat soften the berries. Don't cook the goji berries for too long or they will turn sour. Another amazing looking dish! And I am wondering about that hour thing every time it happens as well. We still have two weeks of winter time, it only changes on the last weekend of March. You know I want to ! !